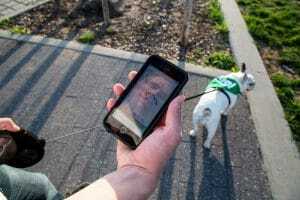 Remember the Dog – when Dog Walking! Regardless of the size or breed of your dog, all responsible dog owners will walk their pets, or should do! While exercising your pooch sometimes seems a bit of a chore, many owners do actually enjoy the exercise as well as the quality time they get to spend with their lovely dogs. Yet how best to get the most out of this special time you get to spend together? If you want to enjoy walking your dog, you need him to obey your basic commands and have important, principal manners, especially when you encounter someone else out for a walk. Essential commands, such as stay, lie down and sit should be second nature and you certainly don’t want your dog jumping up when you meet any passers-by on the street. Many people are very wary of dogs, so it’s important that your dog is on a lead and under your control. Just as we easily tire of the same old routine so do our pets. Find different walking routes to explore with your dog, and enjoy some different scenery and locations. When walking, change the speed and pace of your steps, until you settle on a pace that suits both of you. Walking with your pet is exclusive, quality time that you get to spend in each other’s company. If you are out at work during the day, your dog relishes the time he gets to exercise with you. Enjoy your pet’s companionship and put away your phone, stop chatting to your pals or texting messages, and simply appreciate the chance to connect with your dog as you enjoy your walk together. Distractions like texting and chatting while dog walking can also lead to accidents, trips and falls, and how many times have you seen someone’s dog slip off the lead and run off while their owner is otherwise occupied and not paying notice to their pet? Dog owners who are distracted can also miss the dog poops and often fail to pick up the mess. Keep your main focus on your dog at all times. Sure, have your phone with you in case you need to ring for help in an emergency, but don’t use it during your walk if you can help it. Walking the dog can be a stressful time for anyone with a dog that isn’t always on his best behaviour. Even on the lead, he can rush from one side of the path to the other when he gets a sniff of a tempting scent, or make an unwelcome dive towards another dog he meets. Dogs need full supervision when out of the home, so make sure your focus in on your dog, give him praise when he is well behaved, a treat perhaps, and he will begin to pay more attention to you. Remember that not everyone is a canine lover. Some people just aren’t fond of dogs at all, or are even afraid, so bear this in mind when you are out for a dog walk. Keep Fido on a leash at all times and under your total control, unless you are in an area where he is allowed a run off the lead, but only if he will return to your recall. So come on humans, give plenty of care and consideration to your lovely dogs, and leave your smartphone at home or at least in your pocket when walking your dog.